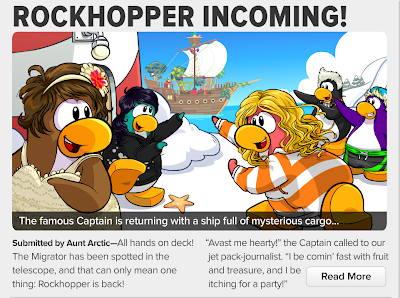 Recently the 355th issue of the Club Penguin Times was released! 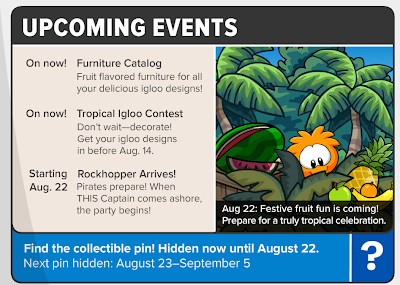 This issue is FILLED with information about what's coming in the 2 weeks. The second featured story isn't really a story. 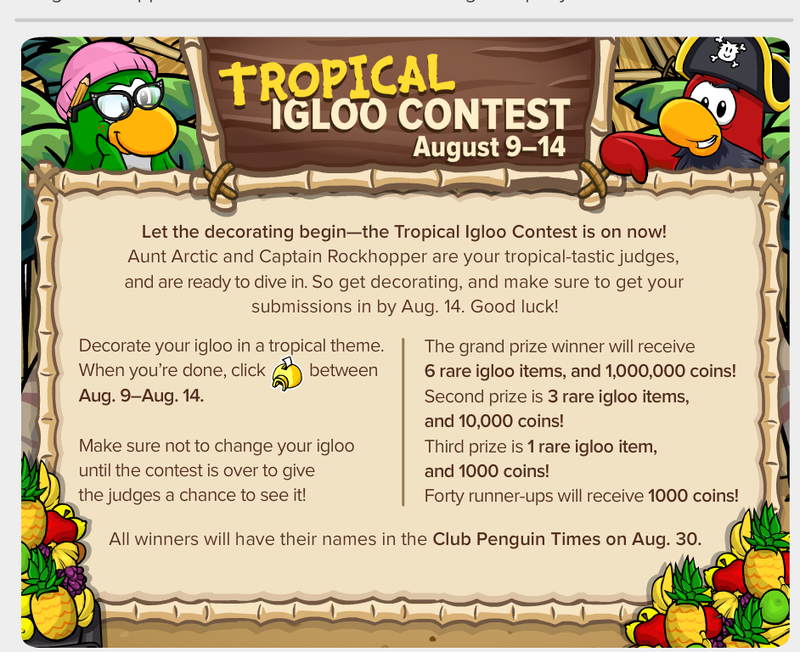 It's about the Igloo Contest. Last is the Upcoming Events. There is only one event which is currently not on now. I don't really have anything to say about this issue. 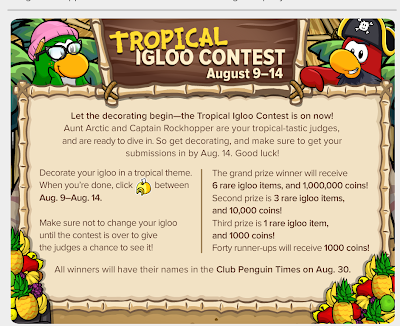 Are you going to enter into the Tropical Igloo Contest? Leave a comment and let us know!